Reliance might have started off as a polyester trading business in the 60s, but it sure is keeping with the times. RIL has just acquired a 5.56 percent stake in blockchain startup VAKT Holdings Ltd for $5 million $5 million (Rs. 35 crore). VAKT is based out of the UK, and says it is establishing a digital ecosystem for physical post-trade processing using blockchain technologies. “The strategic investment accelerates Reliance’s digital journey, through active participation in an emerging and evolving, yet promising, block chain enabled technology solution for energy markets,” Reliance said in a regulatory filing. VAKT is a consortium startup of nine leading energy companies and banks who say they’re committed to embracing block-chain technology, and working together to develop an industry-wide solutions to age-old problems. It says its technologies will help become the “single source of truth for the trade lifecycle.” “It will eliminate reconciliation and paper-based processes, enhance efficiency and create new trade finance opportunities. Unlike other solutions focused on a narrow piece of the deal life-cycle, VAKT aims to transform the full trade life-cycle,” it adds. 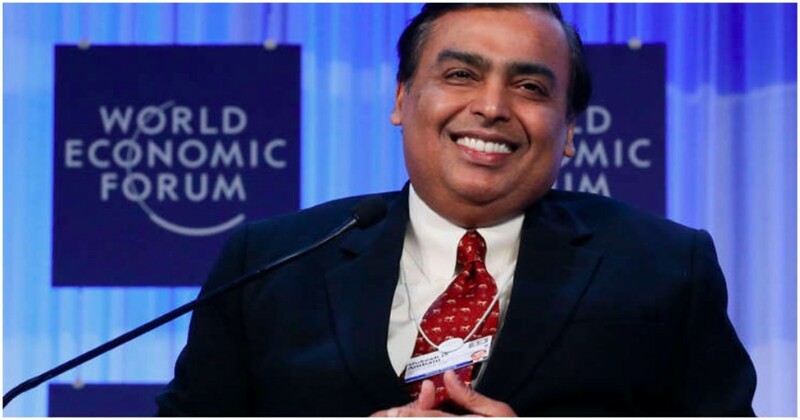 This isn’t the first time that Reliance has dabbled with blockchain — it had earlier been reported that it was considering launching its own cryptocurrency called Jio Coin. The report had come out in January this year at the peak of the cryptocurrency boom, but cryptocurrencies in general have had a hard time since then. Over the last year, bitcoin has lost nearly 80% of its value, and Jio Coin never ended up materializing either. But while experts appear to have now soured on the potential of cryptocurrencies — their transactions are still expensive and slow, and their prices are still far too volatile — blockchain technologies might still be able to come up with solutions to some of humanity’s oldest problems, especially those centered around trust. Reliance had started off in trading business, and then graduated to being an energy company, both of which are areas that VAKT operates in. And while Reliance has now expanded into several other fields, including retail and telecom through Jio, it’s making sure it’s still keeping abreast of the latest technologies that might end up impacting its original line of business.